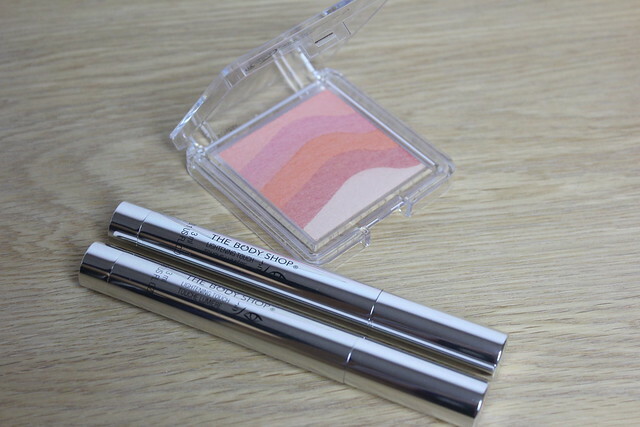 Everyone needs a bit of extra glow now and then – so here’s a couple of little beauties for a touch of added radiance from The Body Shop highlighters offerings. They include their own little ‘Touche Eclat’ equivalent creamy highlighter pens plus a pretty pink powder highlighter ‘Shimmer Waves’* to add a pop of colour along with some ‘lit from within’ shimmer. 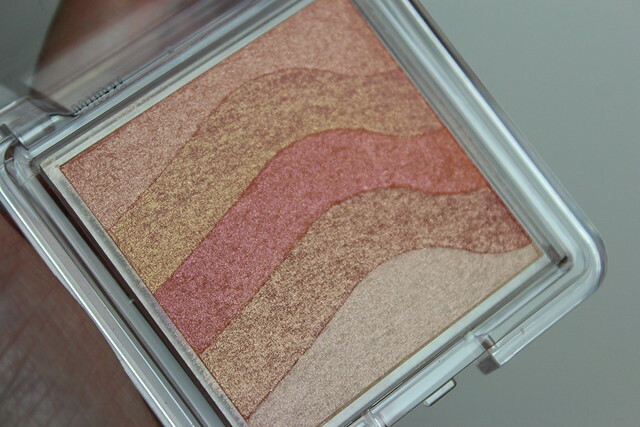 Because the powder is a series of different shades they could be used as singled or blended together for an overall peachy, pinky with a touch of bronze shimmer sheen. The two highlighter cream pens are called ‘Lightening Touch’* are not to be mistaken for concealer really (despite this section being where they’re found on The Body Shop website) – they’re not for concealing, but they are for highlighting and adding a pop of light. 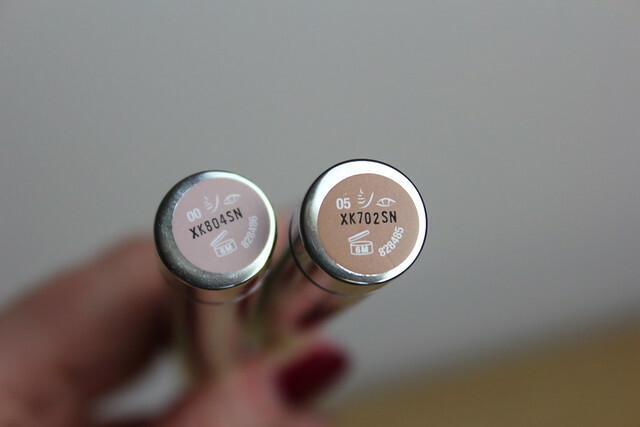 One is a pearly highlighter (00) which has about as much of a glow as you’re likely to find. This is nice for the tops of cheeks, brow bones and anywhere you want a true glow. 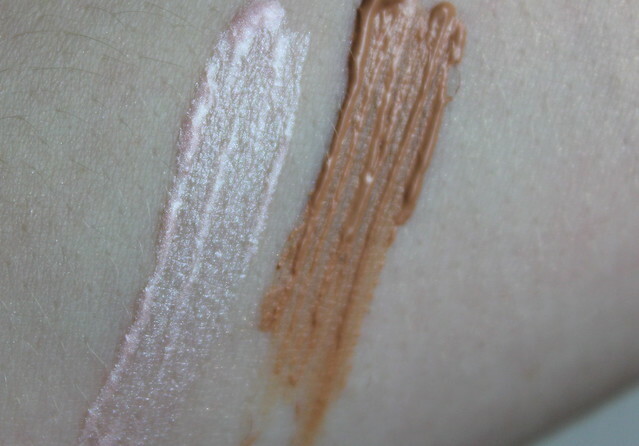 Then there’s the darker brown shade (05) contains a more subtle sheen and it great for darker toned skin, or if perhaps you wanted to use as a bronzer alternative. Of course you want to go a little easy on this if you have paler skin, to avoid looking like you just have a bit of a muddy face. But the tone of it isn’t too orange – which is good. I’d love to see this used on a darker skintone to see what sort of glow it delivers. The pearl cream highlighter is on of my night-out essentials for adding a bit of light on the inner corners of the eyes, brow bone and just a touch on the top of the cheeks. I haven’t used the highlighter cream pens because I’m a fan of highlights in powder form but I am a fan of the Shimmer Waves though. They are a bit pricey but you get a lot of use out of it! I didn’t think i’d need a glow- spending V-day in the country at Waddesdon Manor – but now i’m dashing back for LFW perhaps i’ll pick these up on the way!! Revlon Highlighter at the moment.